displaying images of the Ford Anglia and parts of a Ford Anglia. 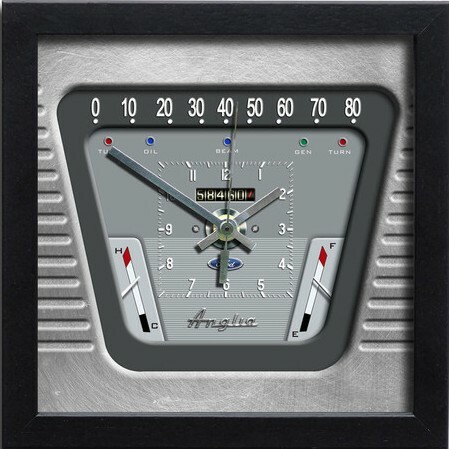 A black framed clock produced by "Icons & Legends". 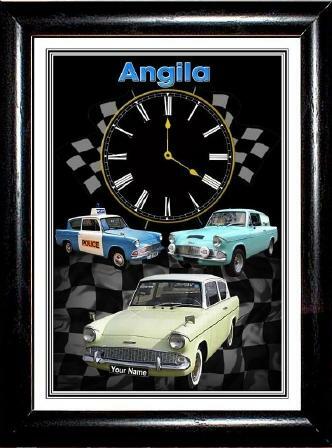 The clock displays a montage of three Ford Anglia's on a chequered background. (The front one of which features my Yellow Saloon). The clock is presently (2013) available for sale on ebay. - The clock is approx 12" x 14"